Tottenham Hotspur star Harry Kane may be all but set to leave the club if his latest wage demands are not met, as per reports in England. Thanks to the deal he signed in February last year, Kane currently earns £60,000-a-week at Spurs, and will continue to do so until 2020. However, the striker reportedly has every intention of penning down a new contract that will see him get a significant pay raise – be it at his current club, or elsewhere. Tottenham captain Hugo Lloris, and new summer signing Moussa Sissoko, are the two top earners at the North London club at present, earning £80,000-a-week and £95,000-a-week respectively. 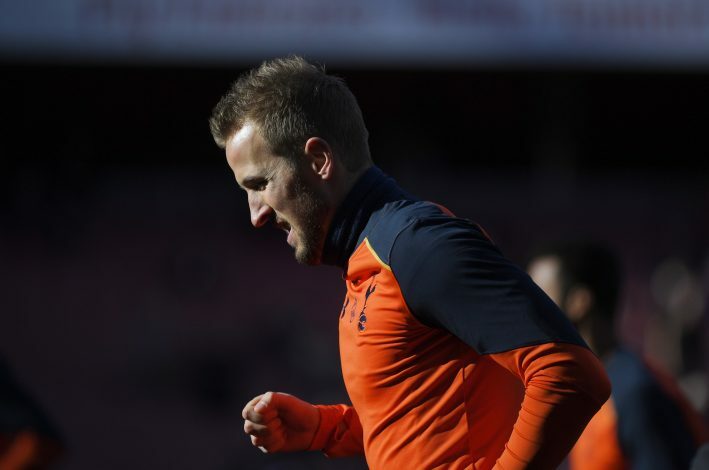 And with Kane’s consistent top drawer performances in the past two seasons, the 23-year-old believes he himself should be amongst the highest earners at White Hart Lane, and should comfortably pocket at least £120,000-a-week. The England international has therefore put any possible contract talks on hold, with the expectation of an improved pay packet. However, as per Spurs chairman Daniel Levy’s wage structure – which disallows any player to earn more than £100,000-a-week – Kane may have to look elsewhere to satisfy his wage demands. Mkhitaryan Set For Dortmund Return? Amidst all the wage speculation, European giants like Chelsea, Manchester City, Manchester United, and Real Madrid continue to be interested in the services of last season’s Premier League Golden Boot winner, and could easily offer him a salary worth £200,000-a-week to lure him away for Spurs. And with all the aforementioned clubs boasting the best paid teams in world football, Tottenham may have to do whatever it takes to hold on to their prized striker, or lose him to a more willing club.